It’s a brand new adventure every time you visit. 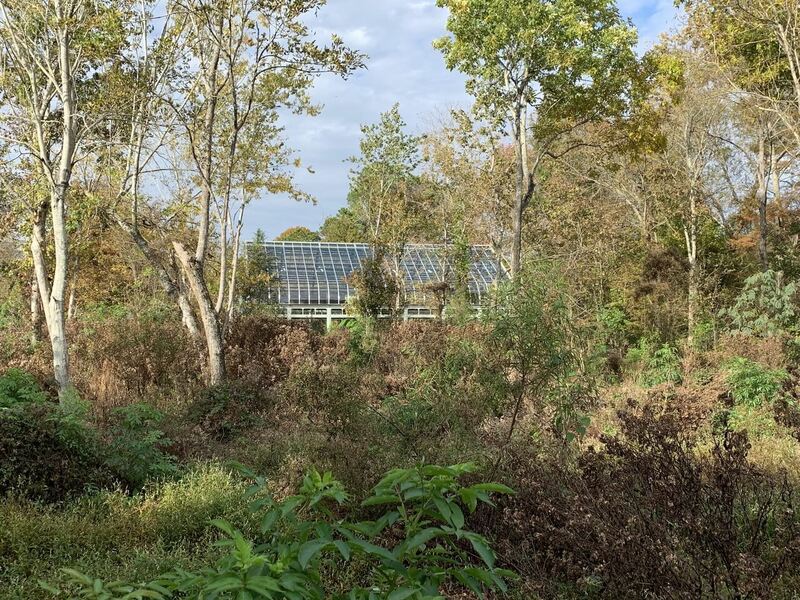 From the moment you drive past the gates into the Audubon Nature Center, you feel miles away from the city. 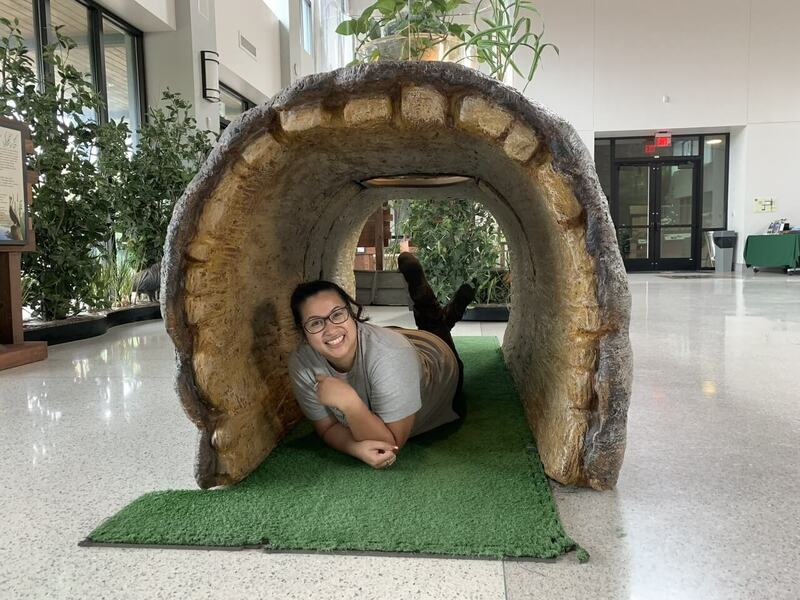 The Nature Center features miles of trails, a planetarium, a greenhouse, and classrooms of students, but more importantly, it offers silence and peace away from the hustle and bustle. 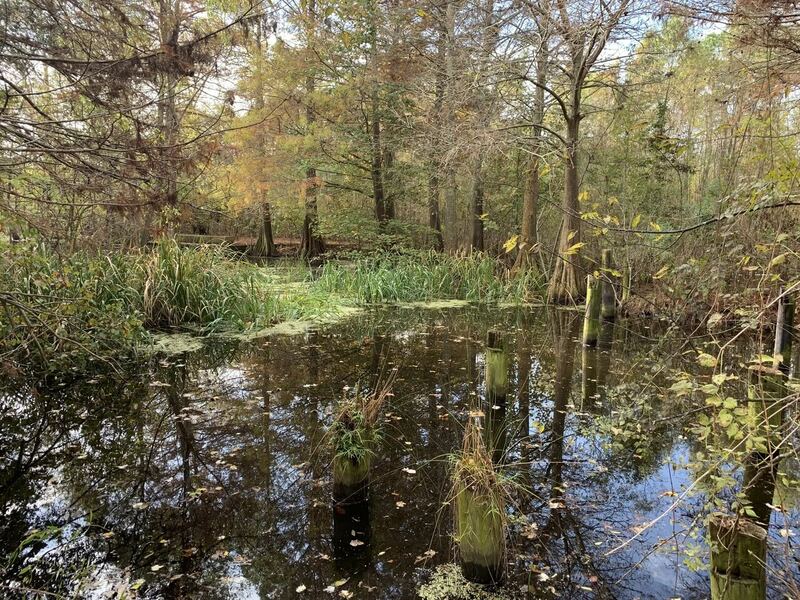 The 86-acre site, located in Joe Brown Park, was destroyed by Hurricane Katrina. 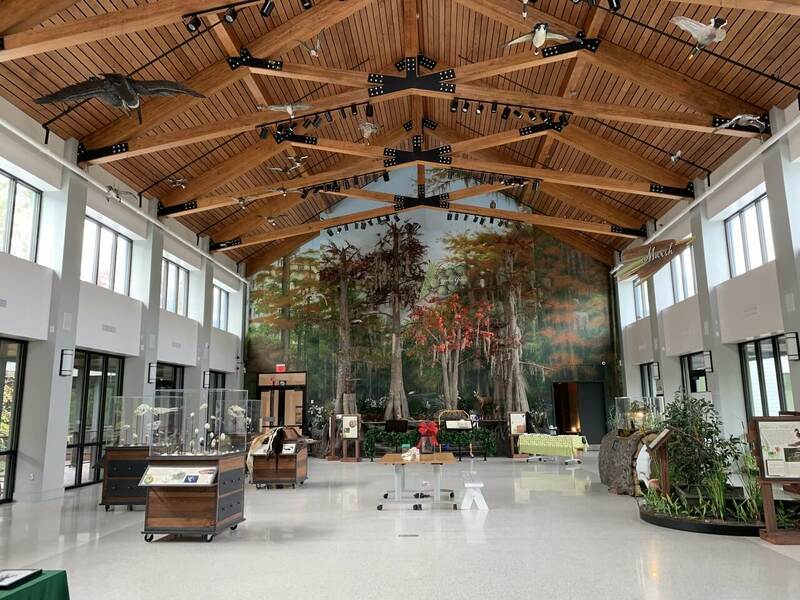 But 12 years and a $10 million renovation later, the nature center, somewhat quietly, reopened in October 2018. 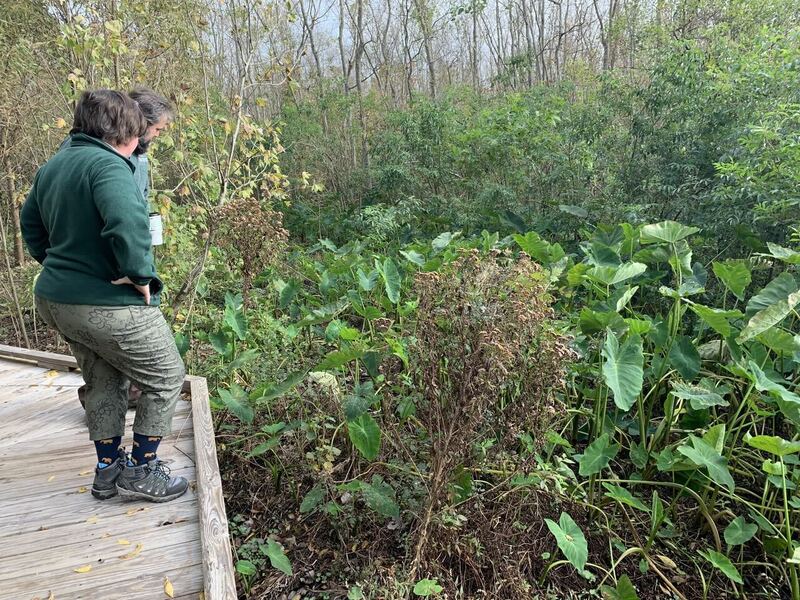 “We’re here as a community resource in New Orleans East to help people get close to nature, in whatever fashion is best for them,” said Issac Wyatt, the nature center’s director of operations. 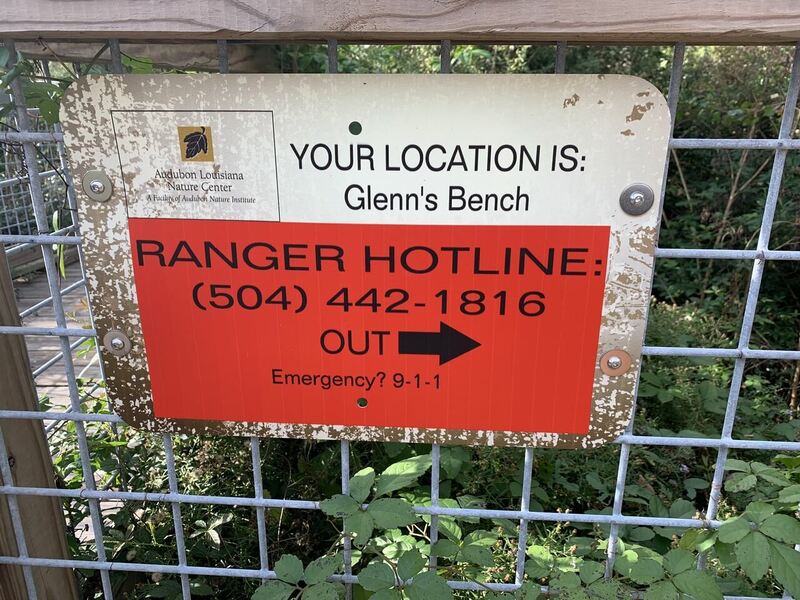 Small reminders still remain of the old Nature Center. Benches from the old amphitheater remain near the crawfish pond, a prime viewing spot for turtles and an occasional alligator. The trails are open daily to the public, starting at 8 a.m. From the beginning, the trails are mysterious, welcoming you into the unknown. Each walk on the trail features something different, and without a guide it can seem a little overwhelming. 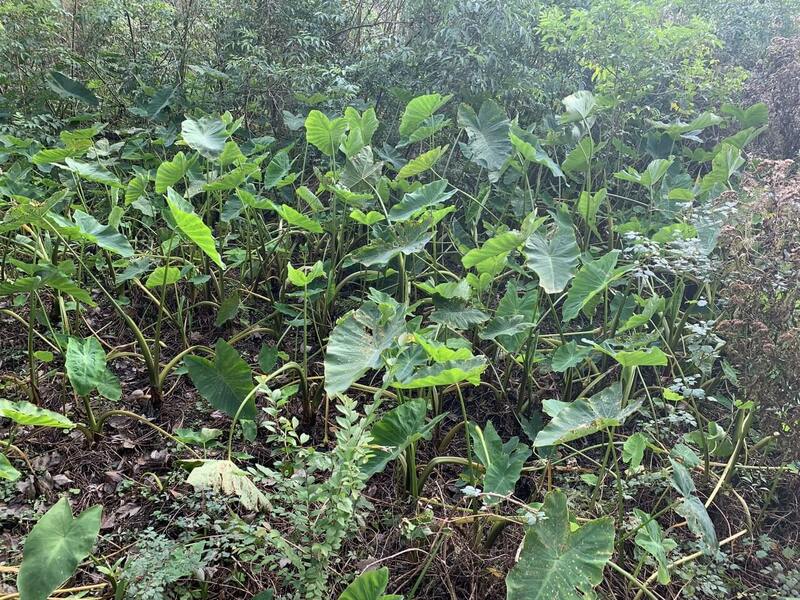 The main trail, a boardwalk about a mile long, is surrounded by different species of vegetation and wildlife. The beginning puts visitors in the middle of cypress trees and relics of the old pre-Katrina boardwalk. 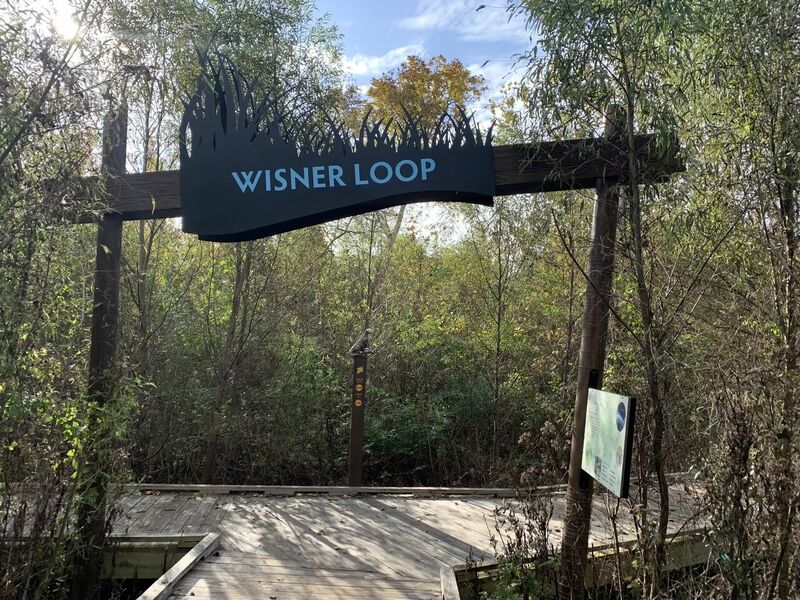 Signs point you in the direction of the “Wisner Loop” portion of the boardwalk, and two primitive discovery trails if you’re feeling adventurous. 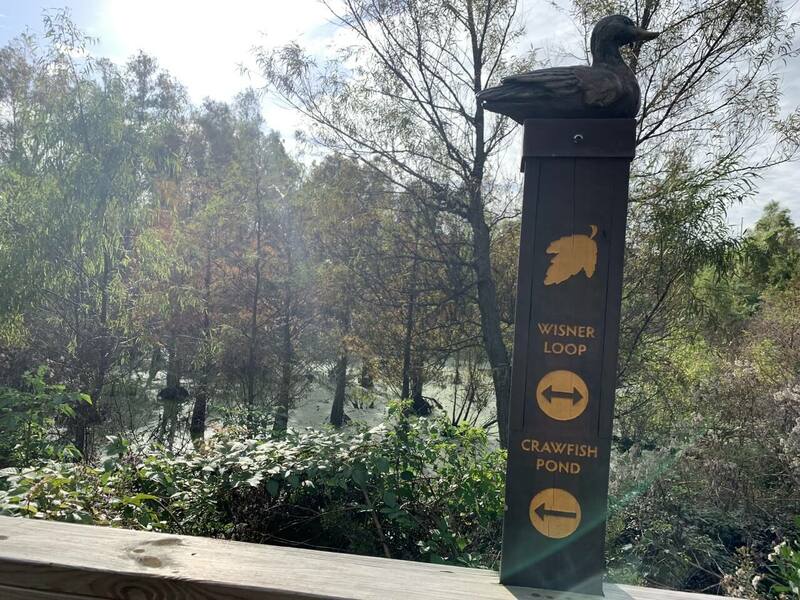 The Adventure Trail features rustic scenery and is a 0.8 miles one way or 1.3 miles if you take the boardwalk on the way back. The Discovery Trail is a primitive trail with a small bridge. The occasional bigger animal can be seen if you’re quiet and patient. 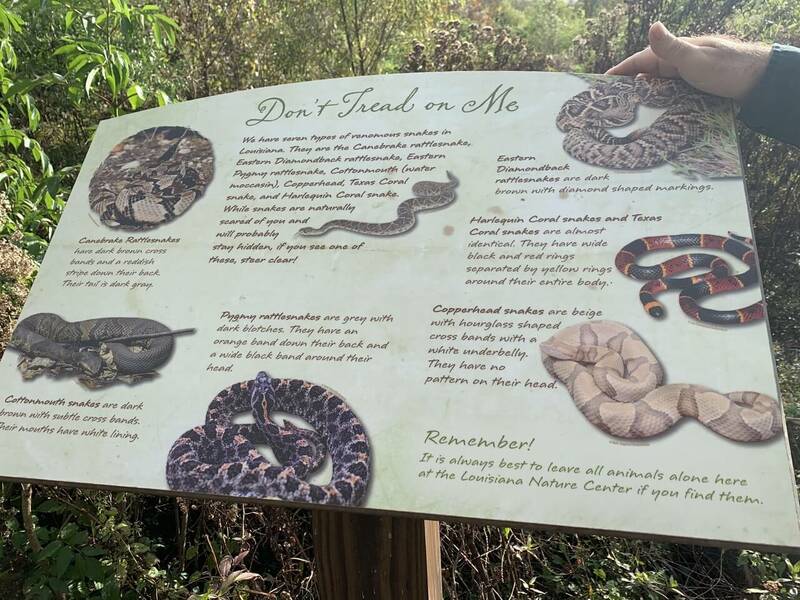 The nature center boasts multitudes of swamp rabbits, a few snake species (none spotted have been venomous), and if you’re really lucky, you might see a resident coyote. But what’s more exciting is learning about the smaller, more abundant residents. On the surface, it’s a quiet walk through a bottomland hardwood forest. But if you pay attention, you can see clusters of webworms in trees. 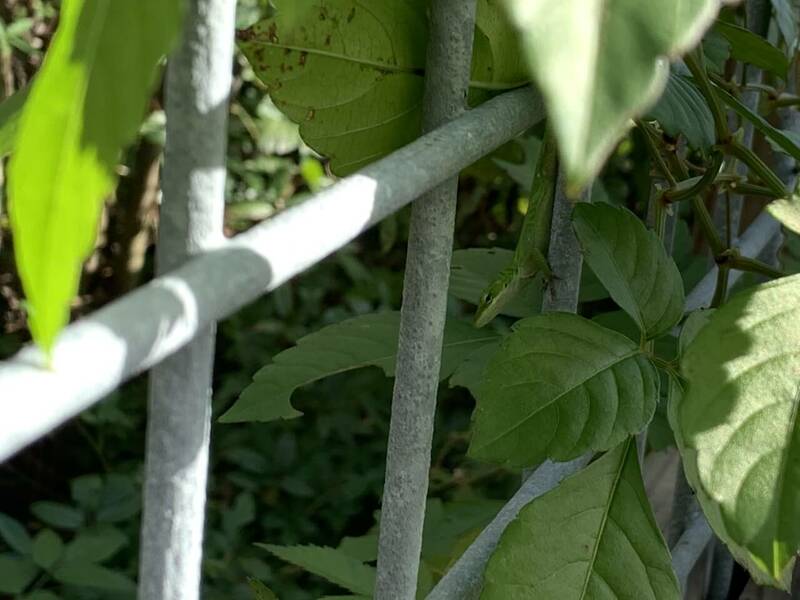 Anoles (small green lizards) can be seen along the way. Warblers are happily hopping from the trees. Webworms on a leaf at the Audubon Nature Center in East New Orleans. At the front of the property is the interpretive center full of interactive exhibits. 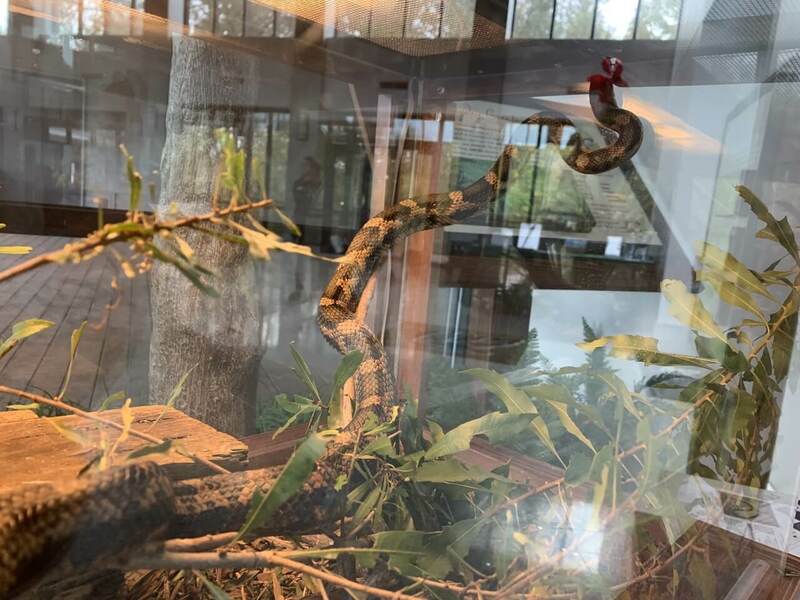 Insects like a praying mantises call it home; a rat snake moves slowly in an exhibit close to the front of the center. In the middle, a huge log opens up at the top, where you can crawl and find yourself surrounded by small fish as if you’re underwater. 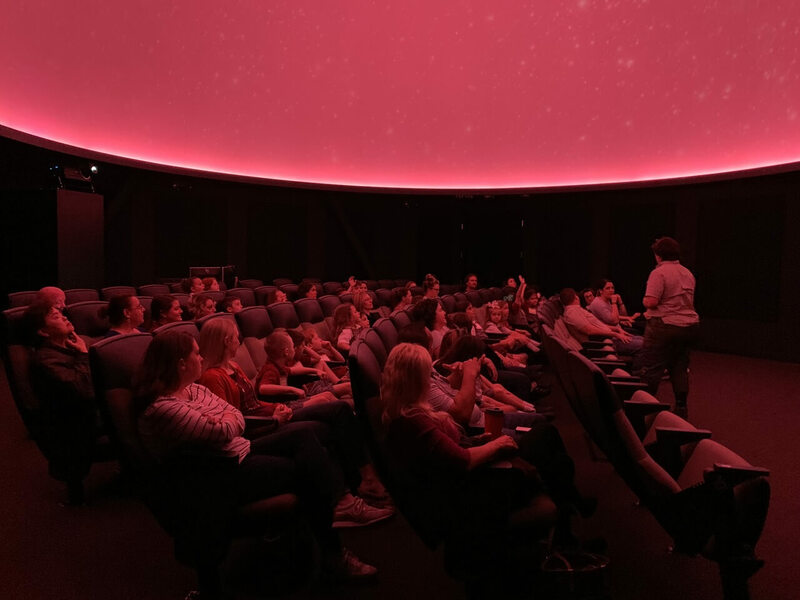 One of the most breathtaking updates is the planetarium. Even as an adult, it has all the magic of the star projectors you played with as a child in a tent made out of bedsheets. This is on a much bigger scale. Stars appear to move above you, and then out of nowhere, lines connect the stars, bringing familiar constellations and planets to life. Tickets are $7.50, but for an hour-long show, it’s totally worth the price. Click here to find out about shows and times. Perhaps the best thing about the Nature Center isn’t the solitude, or the wildlife. It’s that while it sits in the same place, it’s a new experience every time you visit. 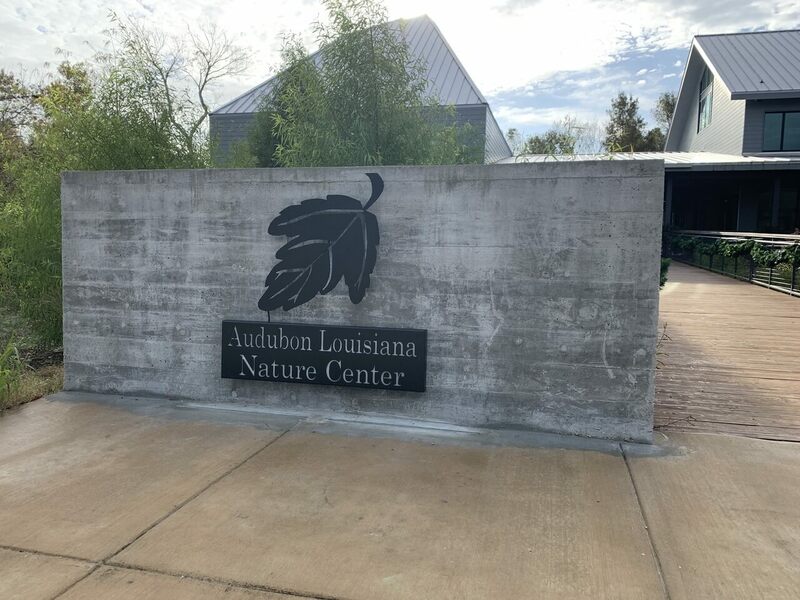 Click here to find out about programs at the Audubon Nature Center. Click here to follow the Nature Center on Facebook or Twitter. 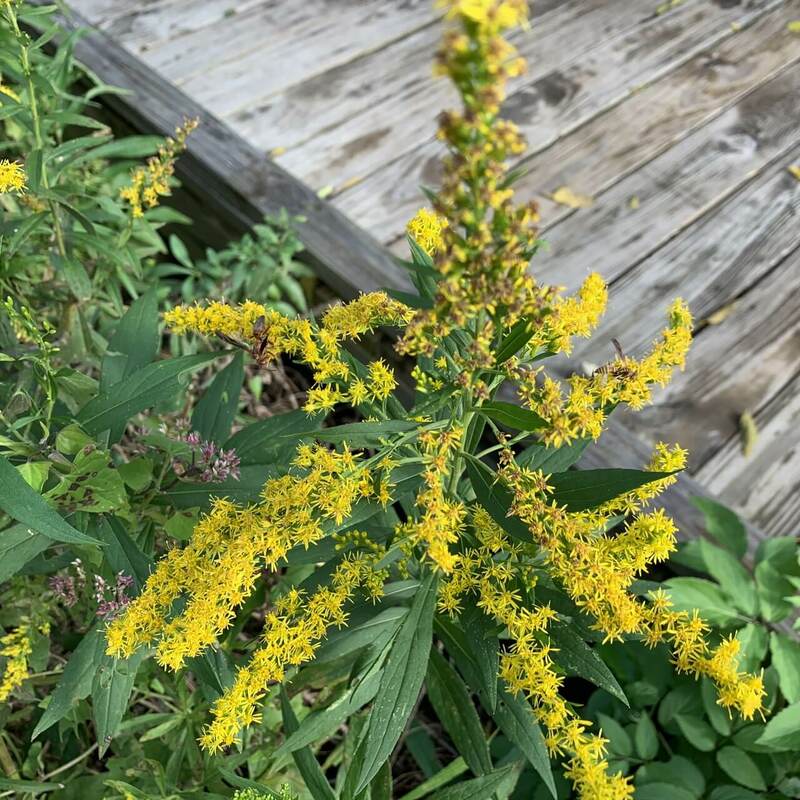 Click the video below to watch drone footage from the nature center.